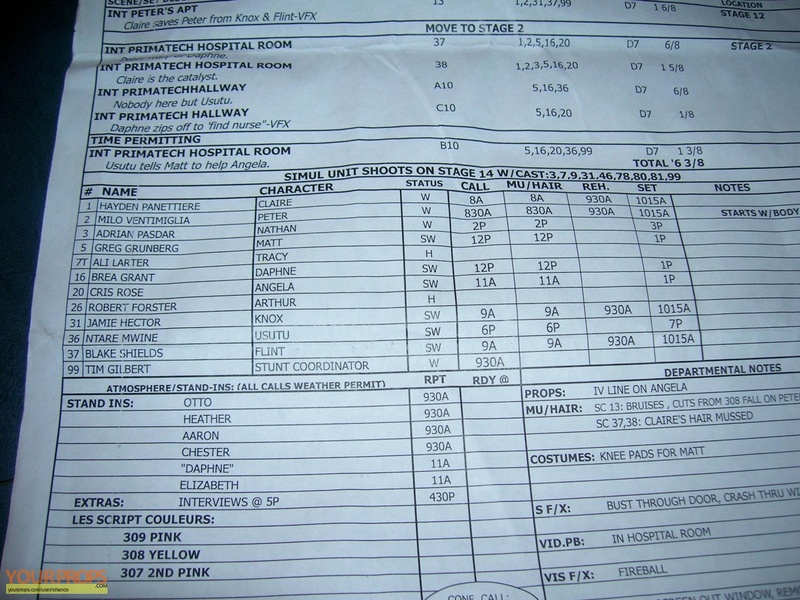 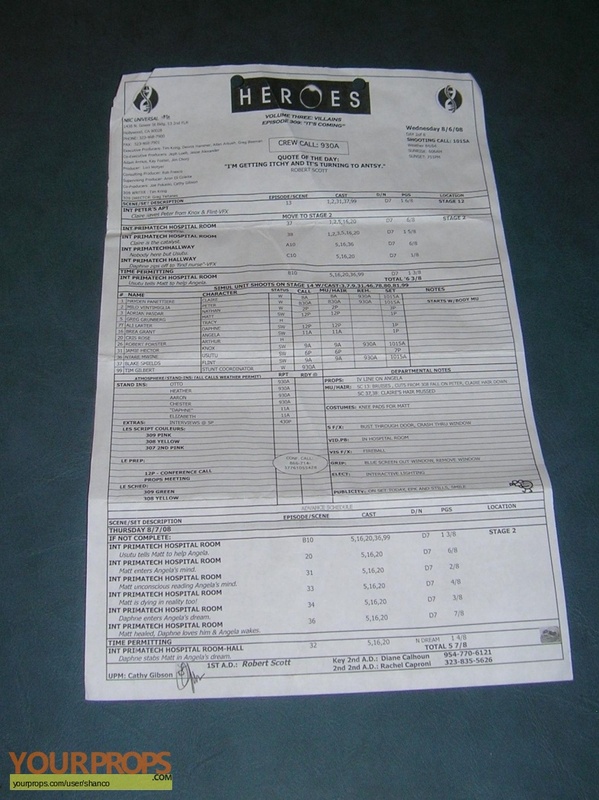 Heroes, Call Sheet from "It's Coming"
This is a call sheet from the episode "It's Coming" showing which actors will be shooting that day, etc. 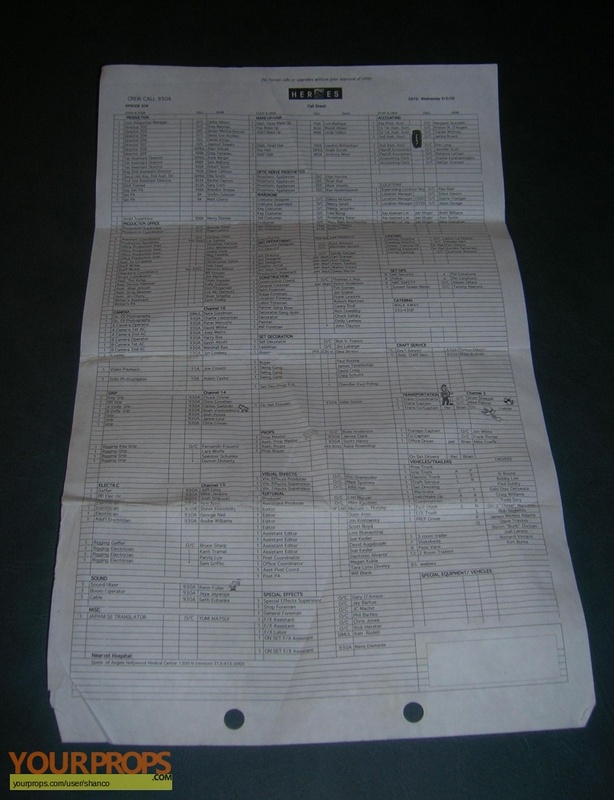 view all 296 items of "shanco"
** The content of this listing is the sole responsibility of shanco. Yourprops.com, its owners, agents and assigns assume no liability.